Special Version Production Machine that can move automatically in X axis for programmable hole-to-hole block honing - hones a line of cylinders unattended. Automatic Lower Crash Protection System Many Engine Blocks have interference in the lower area of the bores and can damage honing stones and holders. 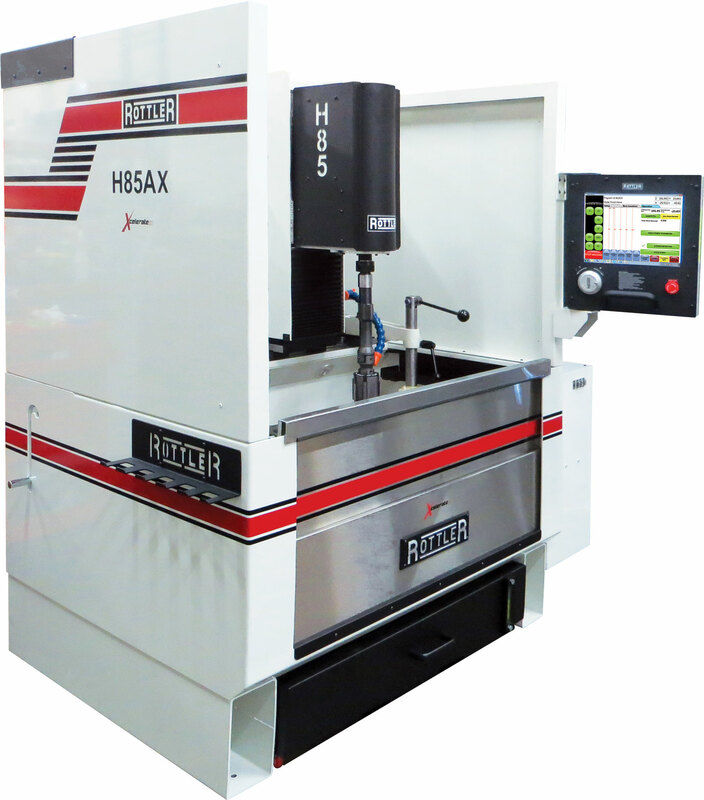 Everytime the H85X starts honing a cylinder, the machine will check bores for interference avoiding potential damage to honing stones and holders. Variances in lower bores are common. Rottler H85X Control senses lower bore interference prior to rotation and stroking stroking motion starting at full power, eliminating any stone or holder damage. Rottler Software is designed with Simplicity in mind.Conversational software allows operators to quickly and easily learn and create their own programs. It takes only a few minutes to create a new program for a new block then it is saved for future recall and use.